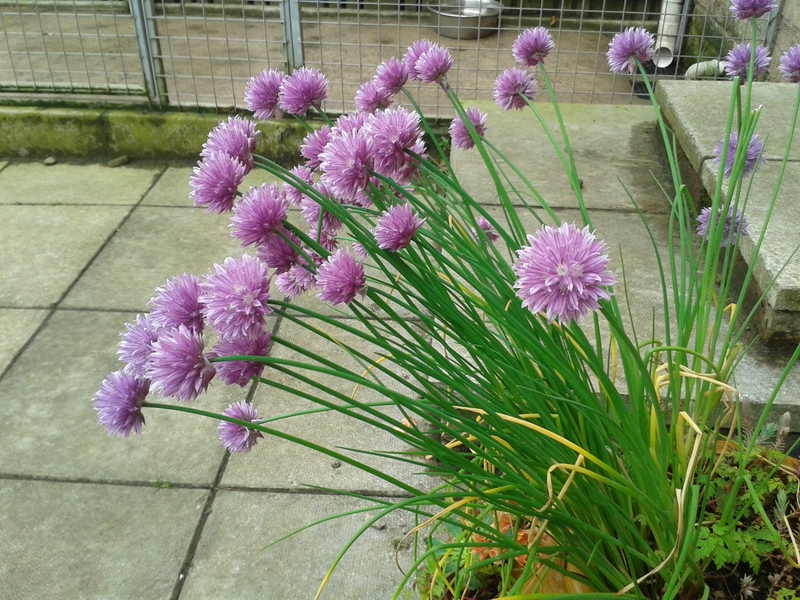 The chives in my herb planter have been flowering glorious bright puple balls, and I remembered last year discvoering that they were edible. 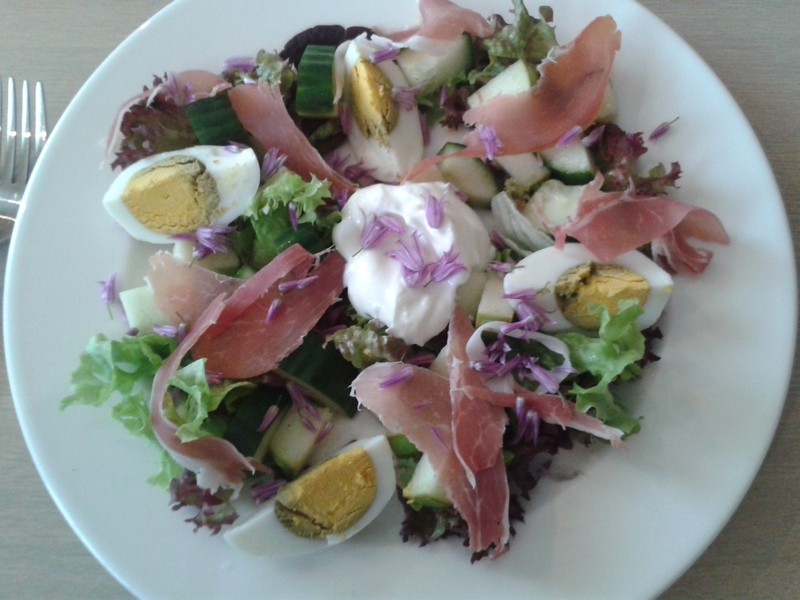 I’d been doing my first 5:2 fast day in ages, and so I reckoned they would make a pretty addition to a salad. I rinsed them thoroughly, and drained. I kept aside 3-4 heads for my salad, and packed the rest into a jar and covered with some warmed-through white balsamic. 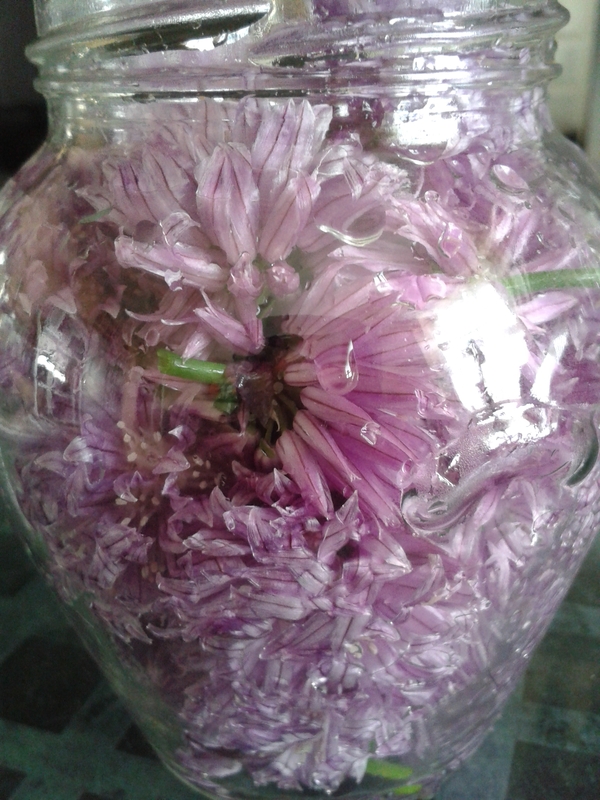 I will put that away for a few weeks to make a faintly onion-scented dressing. I diced a granny smith apple and half a cucumber, and let them soak in the remaining balsamic for an hour. 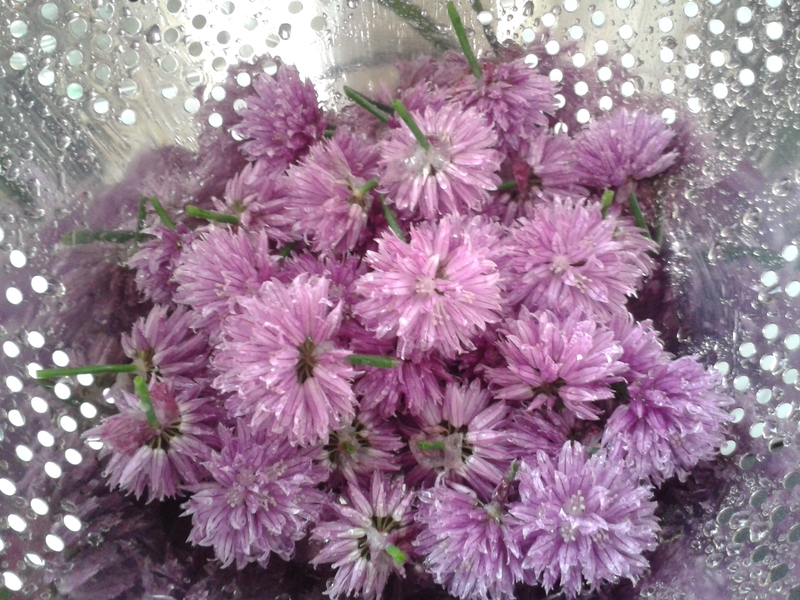 and sprinkle with the individual segments from the chive flowers. Total calories 230. I’m interested in what else they can be used for – have you ever seen them in a recipe? 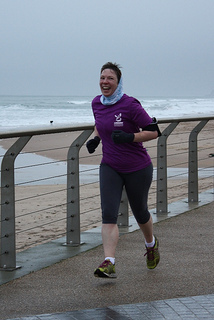 The parkrun at Portrush, on NI’s north coast, is surely one of the most stunningly beautiful courses anywhere. It’s also one of the toughest. 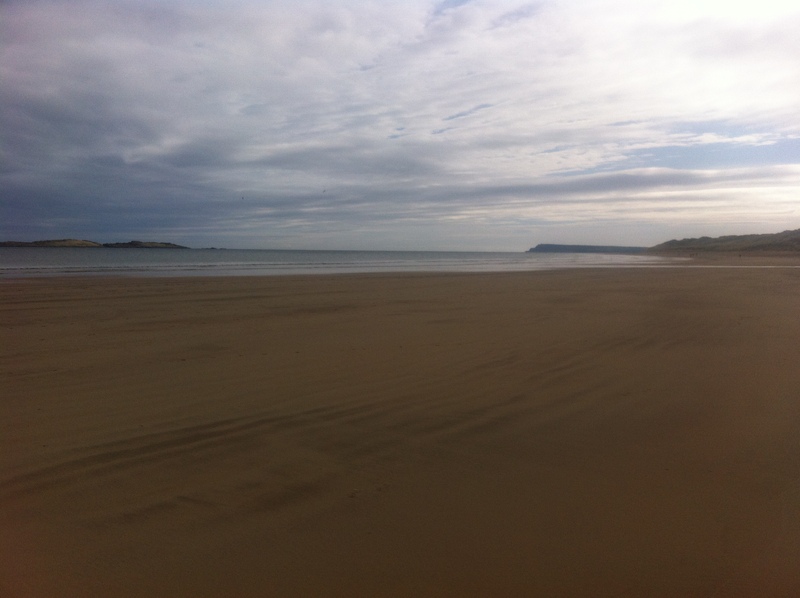 The run starts at 9:30, on the East Strand. 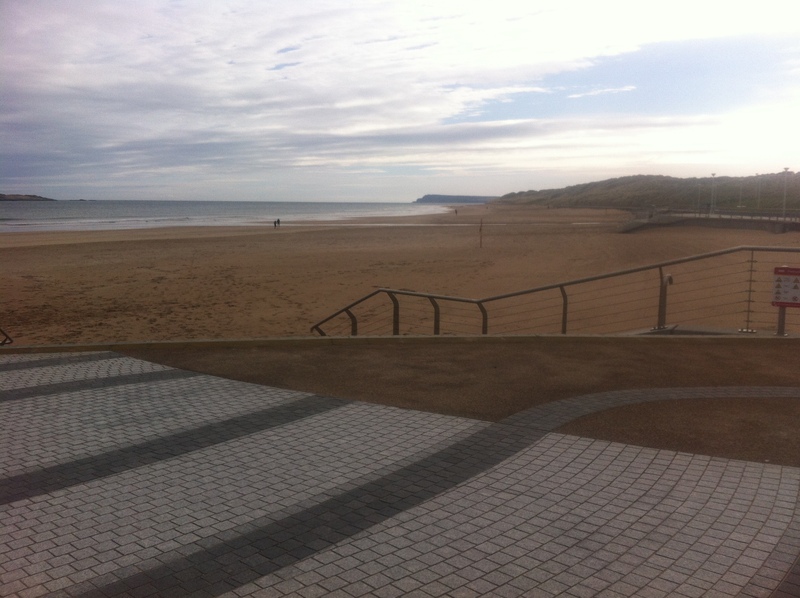 Travelling from Belfast, I like to approach Portrush along the coast road, past the white rocks beach, the Skerries sitting out on the sparkling grey waves, past what I still refer to as Kelly’s nightclub, and the Royal Portrush Golf Club, two very different sorts of entertainment venue facing each other across the road. There is ample car-parking at the start of the course, with a good vantage point for any non-running observers to watch. The course is an out-an-back one, run mostly on the sand. Running on hard sand is very pleasant, but you have to cross a patch of soft sand in order to get there. 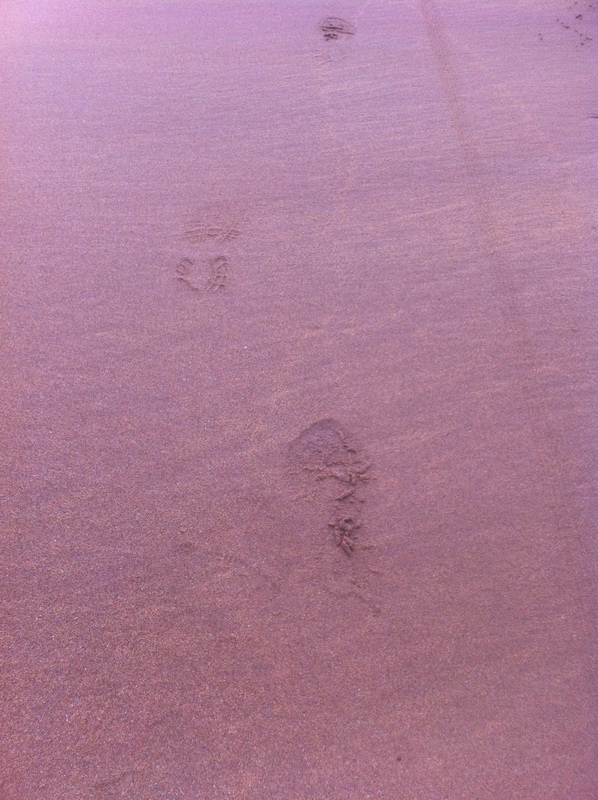 Even worse, you have to re-cross the soft sand on your return leg, at which stage your muscles are aching. In the winter, when the wind is howling and the tide is high, sometimes even the hard sand peters out, and your choice is to clamber over rocks, or get your feet wet. It’s certainly a character bulding experience! I’ve run this course twice, once in May, and once in January, during a really unpleasant spell of weather. I’d taken my rain jacket off while running, and the rain soaked my T shirt, causing it to stick to my skin. Not pleasant. In the colder months, gloves and a buff or headband are highly recommended. The turnout varies depending on the time of year. 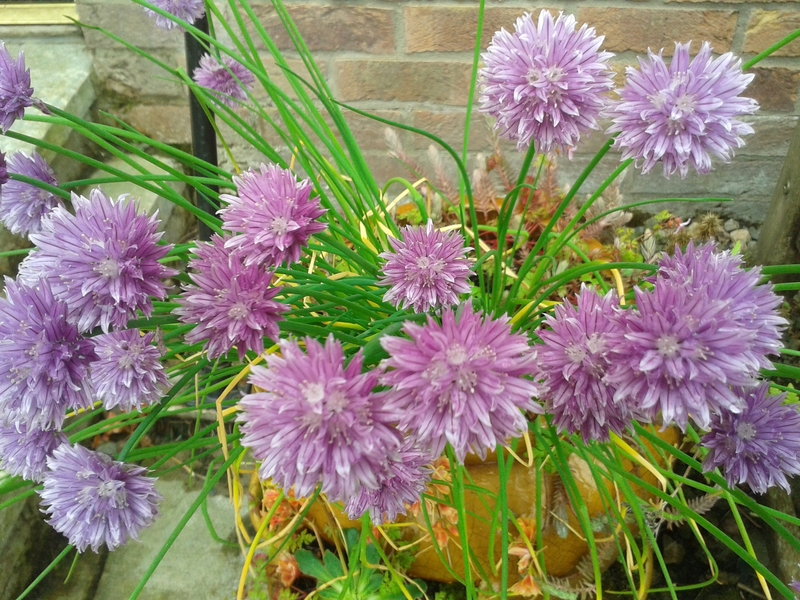 During the balmy July holidays it can attract over 100, while in the winter the hardy regulars number around 50. Many of them are very keen sporty types, who can often be found hanging 10 on their surf boards, over on Portrush’s other beach, the West Strand. There’s a warm welcome to visitors, and as a tourist destination, these are in regular supply over the summer months. My first run there had been on May 4th, Star Wars day, and there was someone in full Darth Vader get-up to celebrate. 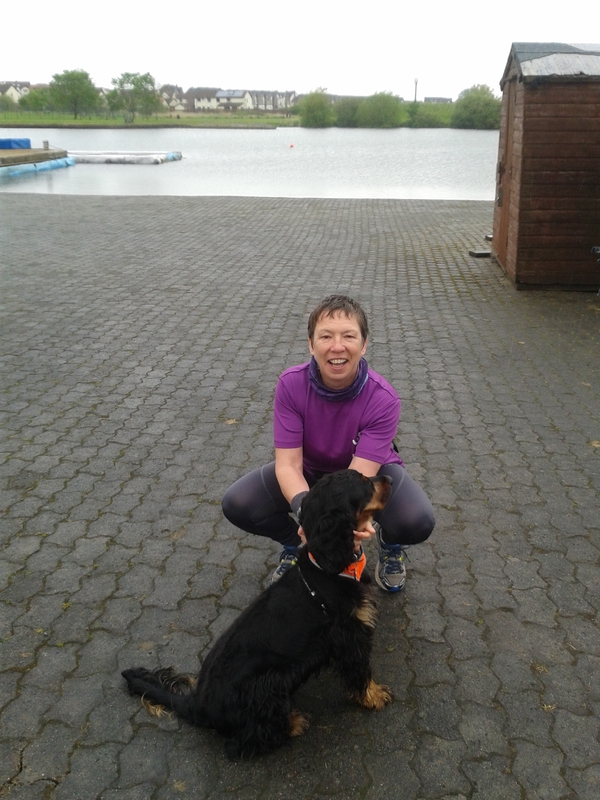 That had also been my nephew’s first parkrun, which he managed in a very creditable 25 minutes, inspiring him to run the Belfast Marathon the following year. I was hearing the strains of Vangelis and “Chariots of Fire” recreating that moment where the Olympic hopefuls are training on the beach. But this is definitely one for Daft Punk’s “Harder, Faster, Stronger”. Time: You’re unlikely to get a PB here, even though it’s flat. When I first ran it in May, I was still trying to break the 30 minute barrier. And I failed. When I ran it again, 6 months later, regularly sub-30-ing, I though I could at least better my previous time. And didn’t even manage that, having lost valuable seconds scrambling over the rocks. 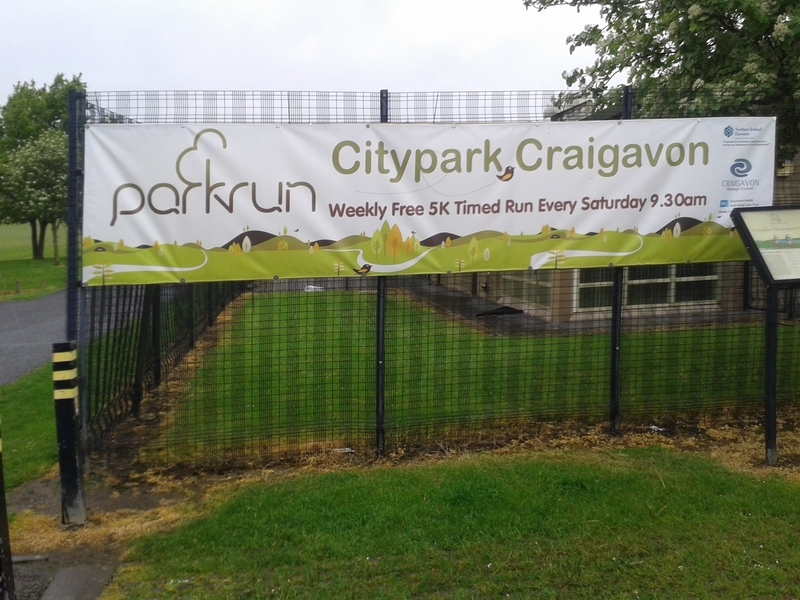 “Citypark” is a rather misleading name for this one, as it’s nowhere near a city! It is in the vicinity of Craigavon, though, with its many roundabouts to negotiate, and I was glad I had written out the directions on a piece of paper, and was travelling with a running companion to help me navigate. It’s not too far off junction 10 of the M1, but check their web page for detailed instructions. 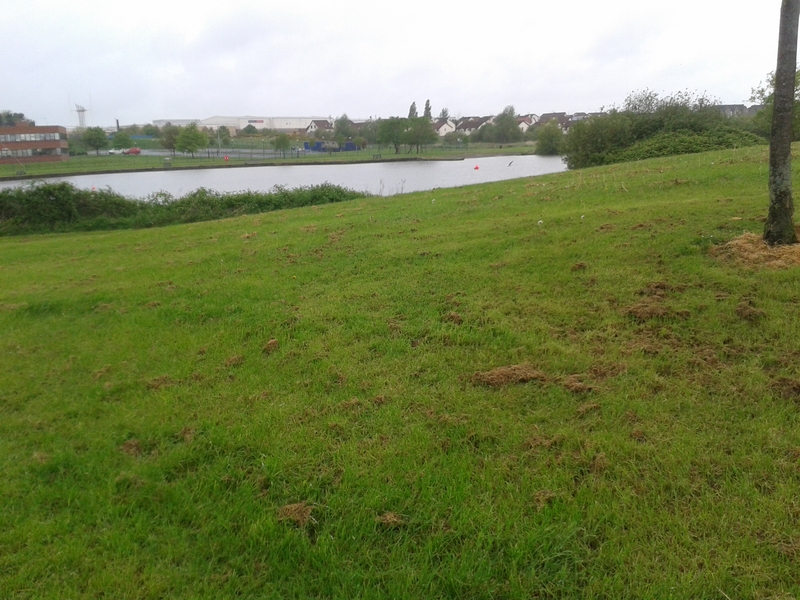 The course is one single lap around a pair of lakes next to the Watersports centre and civic centre. There’s a good car park, and shelter/ loos in the watersports building, where coats, keys and barcodes can be left during the run. It’s a pretty route through lots of trees, and while there a few ups and downs, there are no killer hills. 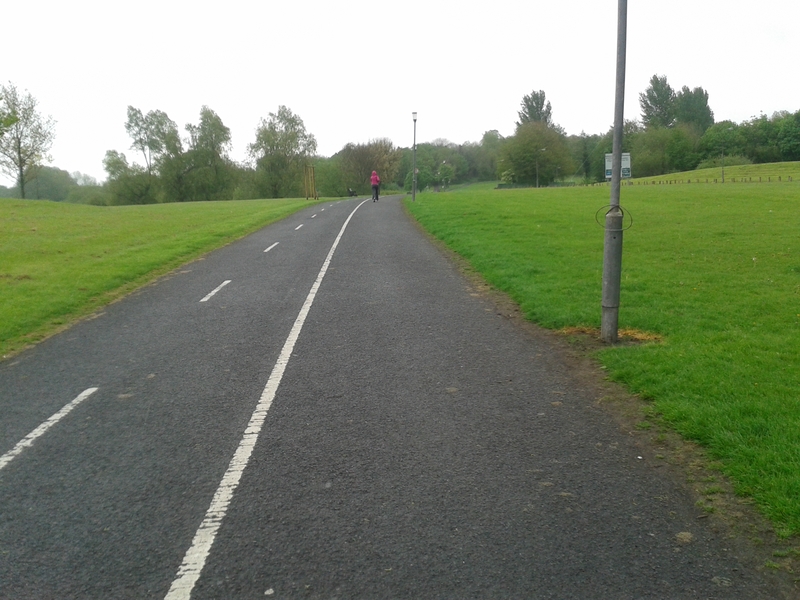 It was raining when I visited, but not heavily, and I opted for my short sleeved Jog Lisburn T shirt, with long trousers. MapMyRun seemed to be working fine, but it told me I’d completed the 5k when I was still 400m from the finish, which threw my pacing calculations off slightly. 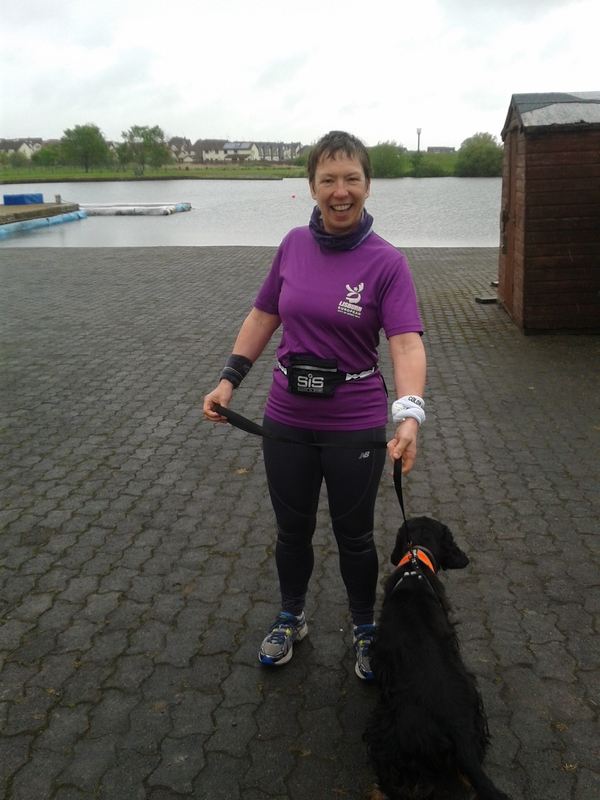 I had my waistband pouch to hold poo bags, dog treats etc, my sweat-wristband which is useful for the runny nose I always get when running, and I utilise the white headband from last year’s colour run to act as a brake under my armband phone holder. Our Jog Lisburn T-shirts provided a conversation starter, and we were able to do our ambassadorial bit for the club. 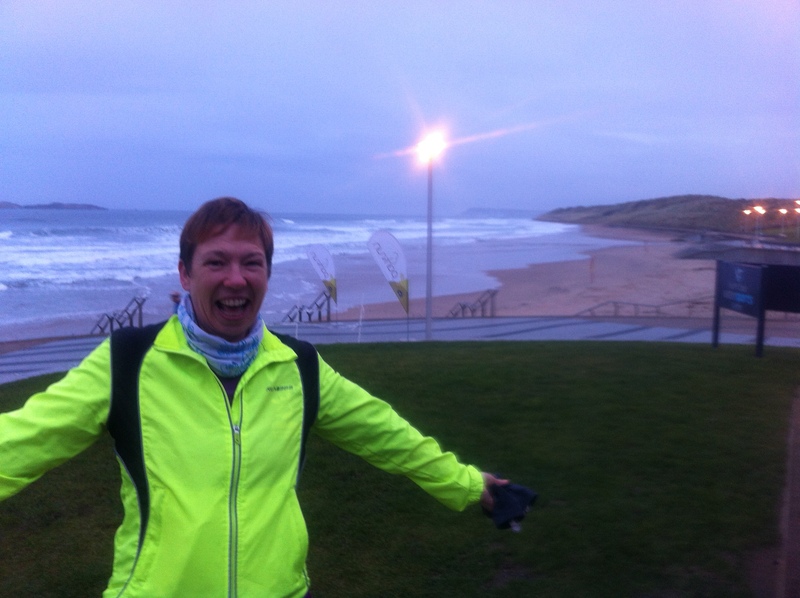 It usually has in the region of 100 runners, with quite a few females taking part – I finished as 12th woman. Mini was the only dog running, and as usual had a crowd of admirers coming to say hello. There’s tea, coffee, and water available afterwards, to enjoy over the post-run banter and comparing of performances. With all the pacing calculations going on in my head, it had to be Stevie Wonder going “five hundred twenty five thousand six hundred minutes!” from Seasons of Love. Having PBed the previous week with 26:19, I was hoping that this less-hilly route would help me get under 26. That meant pacing between 5 and 5:12 per km. My plan was to run the first half as fast as I could, and I kept my pace around 5:03. For the back stretch, I was aiming to hold position. As I started the last km I was pretty sure I’d get a solid time, but then MapMyRun told me I’d completed the 5 when I was still some way off the finish. So I wasn’t too sure of my actual finish time until the official text and email results came it, and was delighted to have broken into the 25s with a 25:57. 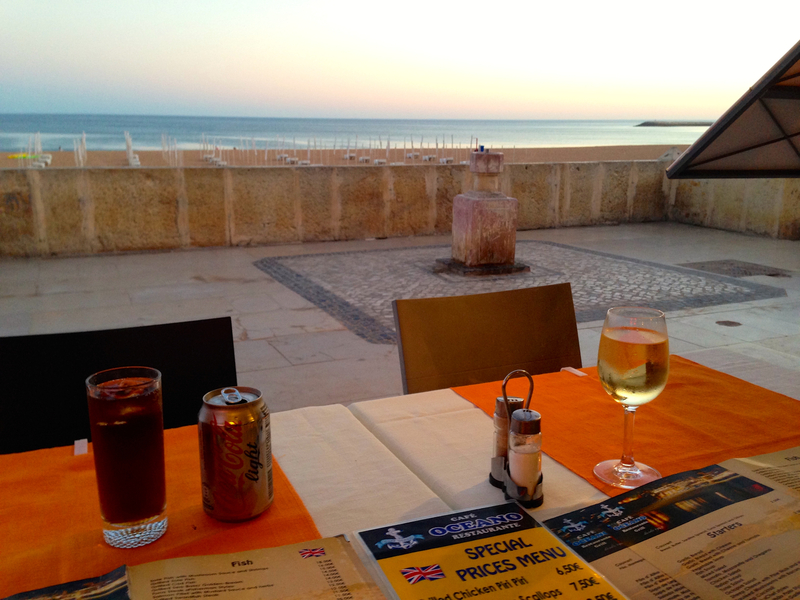 A little bit of sunshine was in order, so we booked a 3 nights break in Albufeira through Thomas Cook. The travel vouchers were sent by email a week or so in advance, but during the weekend before we were due to depart, I wondered if there was transport between airport and hotel included. Sadly, I couldn’t get hold of TC either by phone, or on their suggested live-chat on the website. So we were heading off on the Monday morning without knowing what the position was….. Parked at Aldergrove LongStay having booked in advance at £19.99 for 4 days. This was much cheaper than a return taxi fare, and we were impressed by the number plate recognition barrier. We’d checked in online with EasyJet, so just had to do the bag-drop, which was very straightforward. Couldn’t find a TC desk to check our transfer status, but the Servis Air staff very helpfully pointed us to a phone and phone number, where we DID find someone to finally answer our query, and no, we hadn’t booked a transfer from Faro to the hotel. OK, we’d sort that out when we landed. We passed the time at Aldergrove in the Lagan Bar (can’t recommend the breakfast butties…) and searching for teabags and milk so that I’d be able to make a cuppa in our self catering appartment the next morning. The flight was fine – took off on time, no turbulence, I indulged in my usual snack box, and there were no annoying fellow passengers. Good landing, speedy disembarkement and passport control (R was delighted at being able to use his electronic doofer), and we began sussing out options for transfers. I tried to find any TC desks, and was directed to the stalls where there were a number of transit operators. The young woman on the Greenbus stand was excellent – she instantly understood our situation, offered a private transfer at 35euro in 40 mins, and booked a return shuttle at 20 euro. All with empathy and a smile – gold star award! 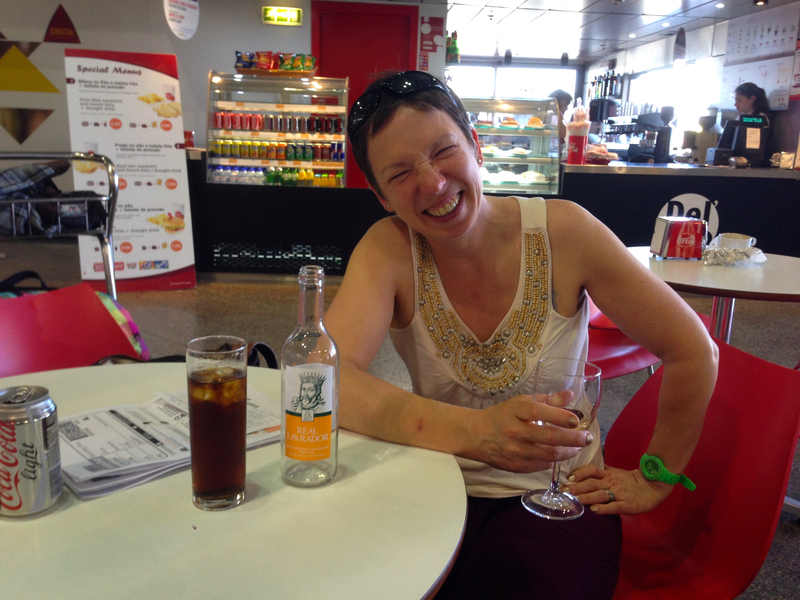 We waited in the cafe bar, and here I first learned that the Portugese don’t do glasses of wine – they do half-bottles! And most of their wine has a cork in it, not screw top. And that, actually, the wine is rather gorgeous…. Checked into the Tropical Sol, in a self-catering appartment. The room was great – a bed and chairs, small galley kitchen (where the previous occupants had left some cereal bars and apples), and got changed for an evening stroll-about. As Chinese goes, Big Shanghai was fine, including Bombay Duck . But it still wasn’t my idea of holiday eating. However, I did pick up one of the “Freemaps”, and was able to pore over that getting my bearings. 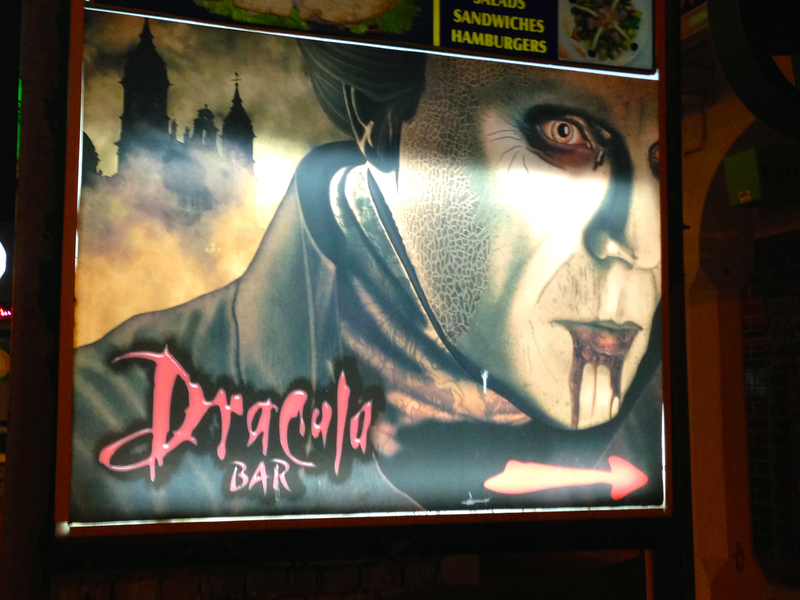 Afterwards, we found our way to The Strip, a collection of noisy karaoke bars, happy-hour pubs and tacky gift shops. Back at the apartment, we discovered the one big let-down of Tropical Sol – the pillows. They felt as though they’d been stuffed with cotton balls, and were really uncomfortable. Next day, I went for a run on the beach. It wasn’t that easy to find the beach, and I had to run around in circles for a bit to find where I was. But I got there in the end, and it was stunningly beautiful. The sand was quite coarse but golden, lots of shells and pebbles, and there were a few other joggers and dog walkers around too. Later, we took the red hop-on hop-off bus. As it was April when we visited, this was still operating its winter timetable, which meant it only went once an hour, so I checked the departure times and stops carefully to avoid too much hanging around in the sun. A 24 hour pass costs 13 euros each – I always feel these tours are a good way to get a general feel for the area, and learn where the various sights and attractions are. We found out that Sir Cliff Richard has a long association with the area, and owns a winery nearby. There’s even a street named after him! Many of the roundabouts have statues or sculptures on them, and I particularly liked the “discoverers” one, a reminder of Portugal’s rich history in world exploration. We alighted at the old town, a charming maze of little cobbled streets, and found a spot for lunch. 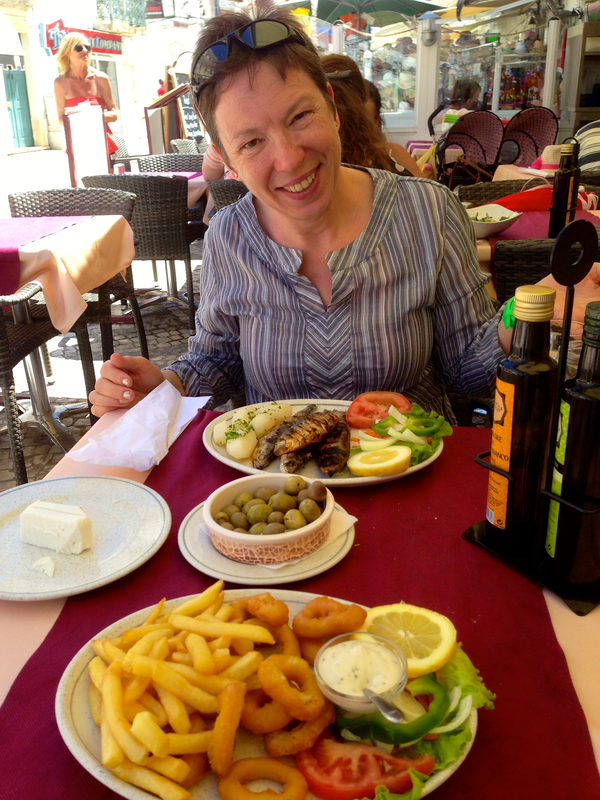 I enjoyed some rather good olives and fresh cheese, and plate of grilled sardines which cost 4.50 euros, very good value. We continued our “aimless wandering”, admiring some of the old chuches and whitewashed buildings with terracotta roofs. 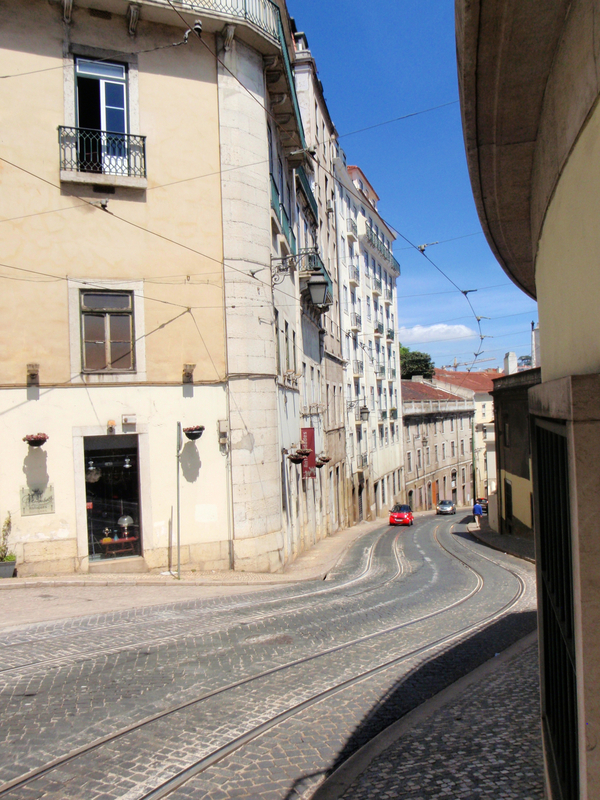 Portugal has suffered greatly during the euro recssion, and there was more than a hint of faded glamour in the empty shops and peeling paint. Back at the hotel, we cooled off in the pool. It was VERY cold, being unheated, but once you got used to it, pleasantly refreshing. I was keen to watch a sunset from the beach, but it became clear as we enjoyed our evening stroll along the cliff path back to the old town that the sun would set behind the headland, not into the sea. No matter, it was still very beautiful, and we found a table in a restaurant right in front of the beach, where we drank in the pinky red sky deepening to a purple dusk. The temperature really drops sharply when the sun disappears, and I was glad I’d brought a light sweater with me. 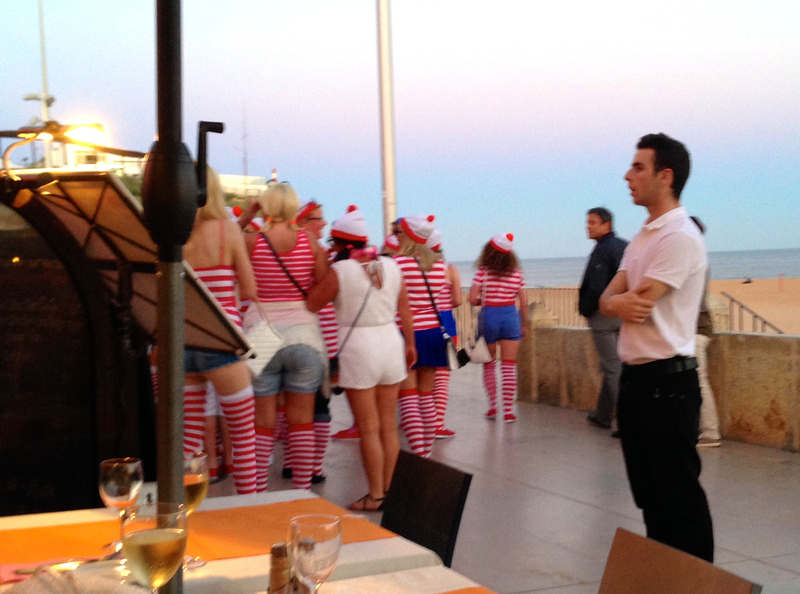 Albufeira is popular with hen and stag parties, and we were amused by a group dressed as “Where’s Wally”. I was impressed at the sales skills of the barker drumming up business for the Oceano – he’d pick up instantly if passers-by complained of the cold, or of sore feet, and point out a table right beside the patio heater, where they could rest and stay warm. We took a taxi back home, and retired early, as the next day’s trip started at 6:55 a.m…..
I’d been delighted to discover that a day trip to the country’s capital was feasible, and as I am still ticking off visiting all of Europe’s capital cities it was a no-brainer that we would pay the 27 euro charge for a bus tour. The receptionist at the hotel made the booking for us, and she was very efficient and helpful, even checking that the price had gone down from that advertised in the leaflet. Bus tours should always have a loud couple sitting behind who never stop talking, a wonky seat that everyone tries for a minute before moving elsewhere, and a quirky tour guide. We were not disappointed. Though the plans to catch up on some sleep were somewhat disrupted. It’s 250 km to Lisbon, so the journey takes a few hours. We stopped at a rather dull service station half way, where I tried some little pine-nut delicacies. And the journey took us through some pretty tree-strewn landscapes, peppered by many cork trees, with their characteristic stripped trunks. The first sight-seeing stop was at the statue of Christ the King, Christo Rei. 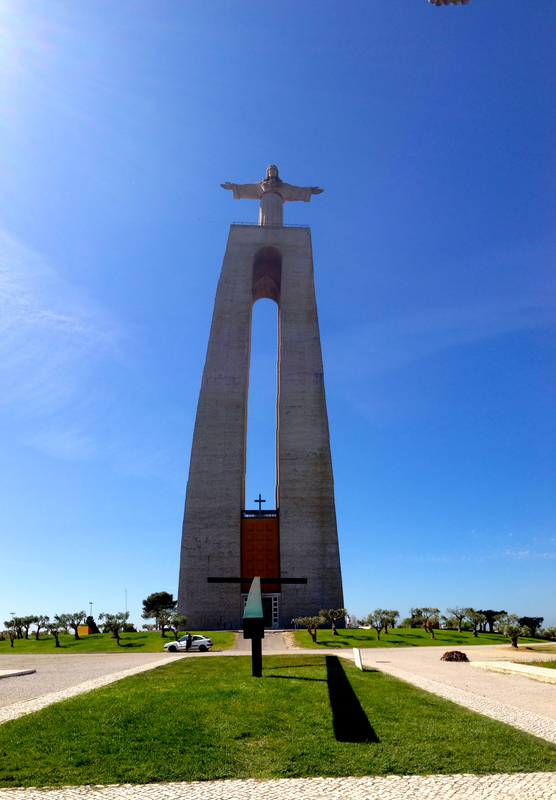 This massive statue of Jesus with outstretched arms was built with the support of every Portugese bishop, in order to thank the absence of Portugal from the 2nd World War. 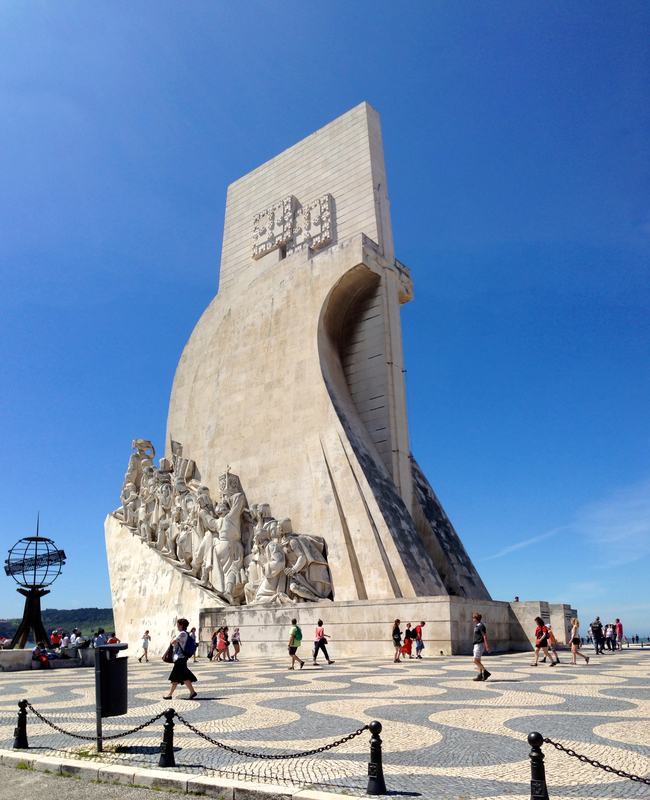 It is situated on a hilltop just outside the city, and gives a wonderful panormaic view over the 25 April bridge, the river Tagus, and the Vasco da Gama bridge in the distance. Our next stop was at the Torre de Belem, an ornate wedding-cake tower that put me in mind of Kings Landing from Game of Thrones. Then a short stop at the statue of Henry the Navigator, leading the way for all the explorers and adventurers who came afterwards. 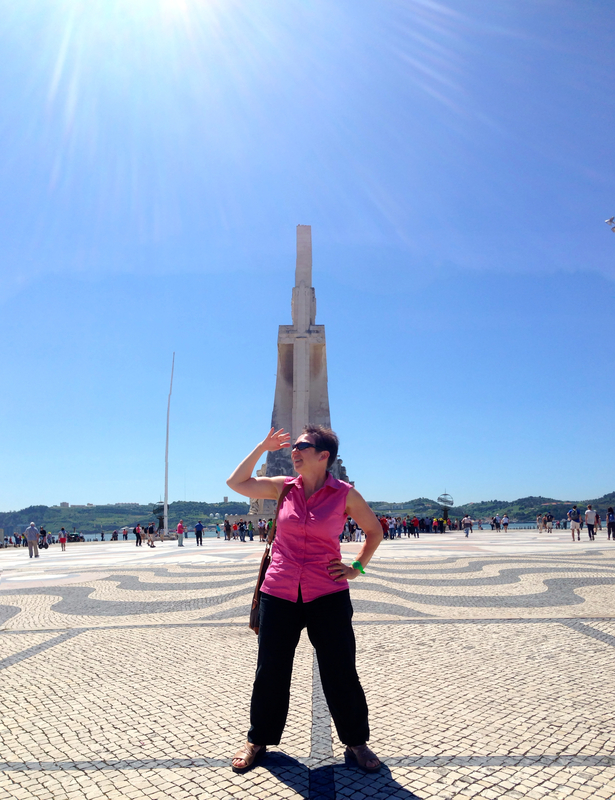 I loved the compass rose, a huge mosaic map of the world. Finally we were released in the centre of the town with a few hours free to explore and shop. A bit of aimless wandering around back streets and car parks showed us the steep hills, faded paint and grafitti, and a pleasing absence of the usual high-street-multiples which make most modern cities identical. And trams! 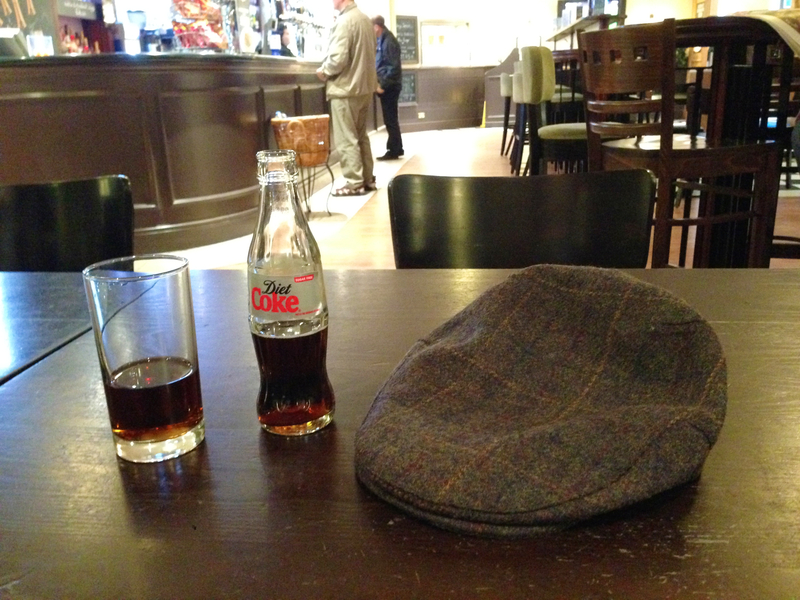 We’d been warned about pick-pockets, and I kept my handbag very close as we enjoyed a drink at a pavement cafe. R was a little unnerved about a bloke who asked him for a cigarette, and then who seemed to be hovering in our vicinity. I like to buy jewellry when I’m abroad, and I treated myself to a cuff made of cork from a gift shop, priced at 9:50, which I felt was very reasonable. Some of the cork items were beautiful – bags and purses, belts and even phone and tablet covers, but quite pricey. 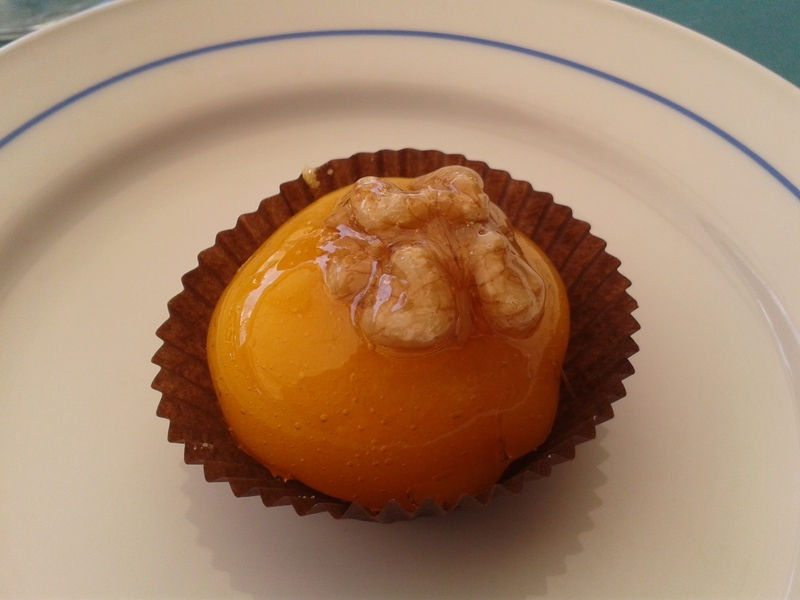 We made out way back to Rossio Square, where I sipped a vintage port and savoured a sticky Noz da Sintra cake, chosen from the mouth watering selection. 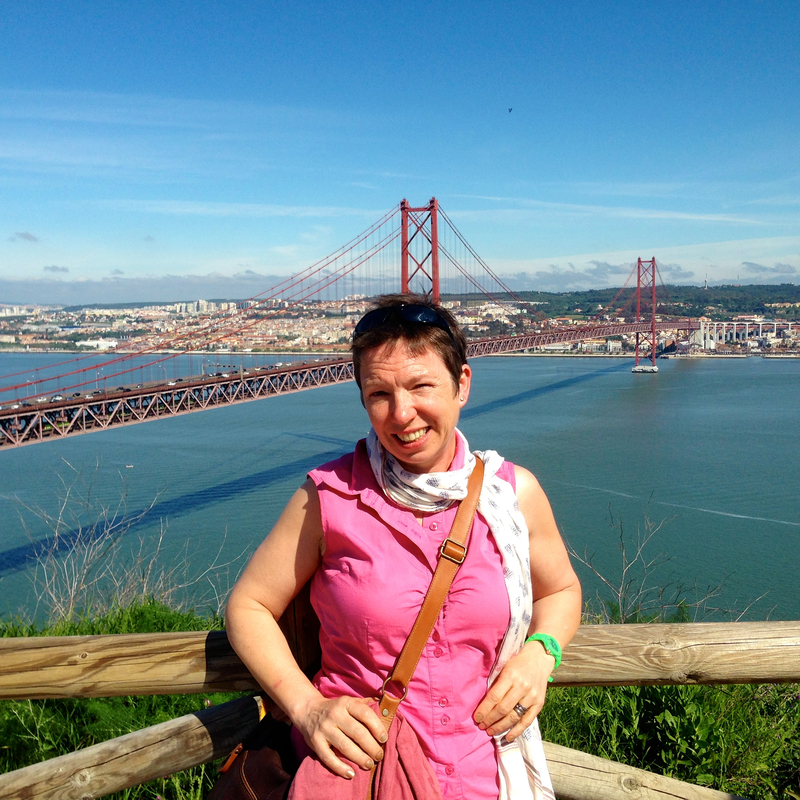 The journey home took us across the 10 mile/ 17 km Vasco da Gama bridge, the longest in Europe. Like many bridges, it is at its least impressive when actually being crossed, but its gentle curves, arched cenral span, and graceful cable stays provide an attractive view. It was after 9 by the time we sat down for dinner, and I was too tired, hungry and grumpy by that point to complain about going to a pizza place on the Strip for dinner. Next morning, I ran on the beach again. I turned left this time, and ran/ clambered over rocks all the way to Olhos d’Agua, a truly picturesque bit of coastline with rock arches and caves on the edge of glittering sands and blue sea. We went for a final potter around, had coffee on the Strip, bought cheap Tshirts, packed our bag, leaving behind any heavy-ish items like suncream to make sure we stayed within our weight allowance. We had a toastie at the poolside bar, and as a party of stags began to appear one by one, commandeering chairs and sinking pints before launching into some rousing cheers and singing, we were quite glad we were leaving today. I’ve never seen so many bad tattoos in one place! If I was going back (and I would return, with more time to spend), I’d try to ensure that I was avoiding any peak stag/ hen dates and locations.